Hivos is an international organisation that seeks new solutions to persistent global issues. With smart projects in the right places, we oppose discrimination, inequality, abuse of power and the unsustainable use of our planet's resources. Counterbalance alone, however, is not enough. Our primary focus is achieving structural change. This is why we cooperate with innovative businesses, citizens and their organisations. We share a dream with them of sustainable economies and inclusive societies. 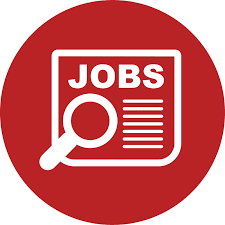 Hivos East Africa is looking for a Junior Programme Officer of Tanzanian nationality to provide support to the Civic Engagement for Open Contracting Africa Programme hereafter termed Open Contracting Programme. Disseminate key Information Education and Communication (IEC) materials and information about the programme to all stakeholders. Track grant compliance and proactively report instances of non-compliance to the attention of the East Africa Country Engagement Developer. Maintain an updated in-country database of key stakeholders in Tanzania's Open Contracting ecosystem. Assist the Programme Assistant with the tracking and follow-up of partner documentation and reporting. A competitive package based on the candidate's qualifications.